MARINA DEL REY — Los Angeles County Supervisor Don Knabe announced Feb. 9 that more federal funding has been agreed upon for Marina del Rey’s much-needed channel entrance dredging project. With around 900,000 cubic yards of sediment at Marina del Rey’s north and south channel entrances, the Army Corps of Engineers increased its allocated funds for the project by $2.4 million, bringing the total federal funds for the project to $7.7 million. 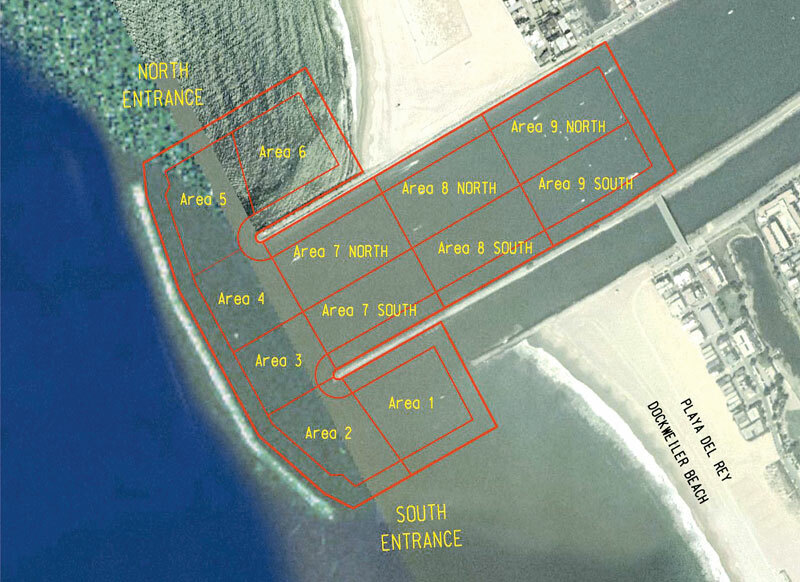 Dredging is expected to begin in March, with the Corps of Engineers working with the Los Angeles County Department of Beaches and Harbors on the project. They will coordinate with the Port of Long Beach to have the dredged sediment barged to Long Beach Harbor, for use as fill material for the Long Beach Middle Harbor Project. The shoaling at the harbor entrances has created hazardous conditions for boaters coming in and out of the harbor in low tides, and it has become a safety risk for first responders in the area, including the Coast Guard, Los Angeles County Lifeguard Baywatch and the Marina del Rey Sheriff’s Department boat patrol. Approximately 760,000 cubic yards of the sediment at the harbor entrance is contaminated, meaning that it would normally have to be taken to an approved inland contaminated material landfill site, at a much higher cost. Barging the contaminated sediment to the Port of Long Beach for the Middle Harbor project is estimated to save $85 million and eliminate nearly 42,000 truck trips to and from an inland site. An additional 250,000 cubic yards of clean sediment will be used to replenish eroding beaches, at Redondo Beach and Dockweiler State Beach. The Port of Long Beach’s $650 million Middle Harbor Project will combine two aging shipping terminals, creating new land by filling in approximately 54 acres of water area with around 3.4 million cubic yards of sediment. The port is taking sediment from outside dredging projects — such as Marina del Rey and Newport Beach’s Rhine Channel. The harbor entrance was last dredged in 1999.